Using LoyaltyLion and Trustpilot together allows you to incentivise customers for leaving reviews. Trustpilot currently boasts more than 41 million consumer reviews of 210,000 businesses, producing a TrustScore for each based on recent reviews. Every day, more than 40,000 consumers sign up on Trustpilot.com and every three seconds a new review is posted on the community. 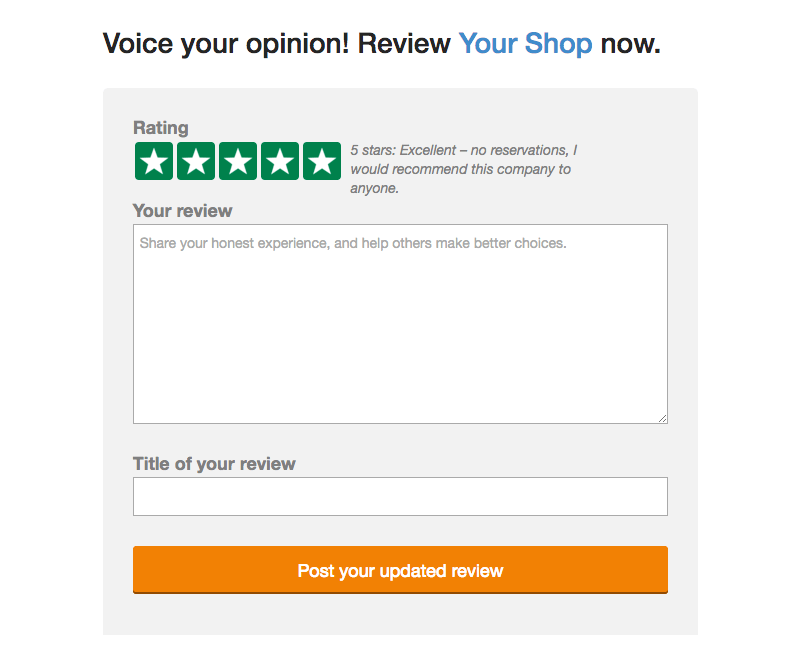 Using LoyaltyLion and Trustpilot together, you can reward your customers for leaving reviews. Consumer-generated media is proven to be more trusted by shoppers than brand-generated content. By incentivising customers to leave reviews of both your products and your store, you can generate more content which potential customers will use to gain trust in your business. The best way to encourage reviews is to inform your customers about the points they will receive in their post-purchase emails. 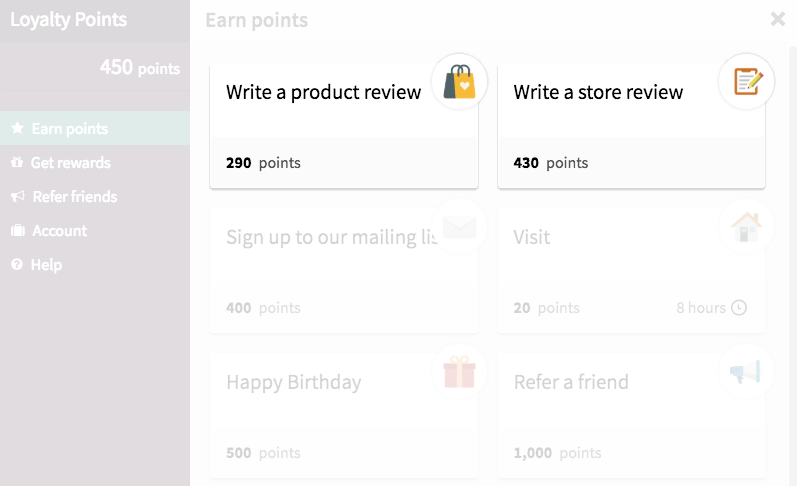 Update your emails to alert customers to the amount of points they will receive for writing a review.